Kluane National Park and Reserve may be Canada’s best kept secret when it comes to spectacular natural wonders. Just 30,000 visitors enter this Yukon park each year (Banff has over 4 million), but those who do find an incredible adventure. About 80% of the Yukon is a wilderness. Luckily, it’s crossed by the Alaska Highway, which goes through the capital, Whitehorse, then continues on to Alaska, changing countries at Port Alcan. Kluane National Park and Reserve is just 160 km west of Whitehorse, at Haines Junction, so easy to get to whether you drive all the way or just fly into Whitehorse and rent a car. 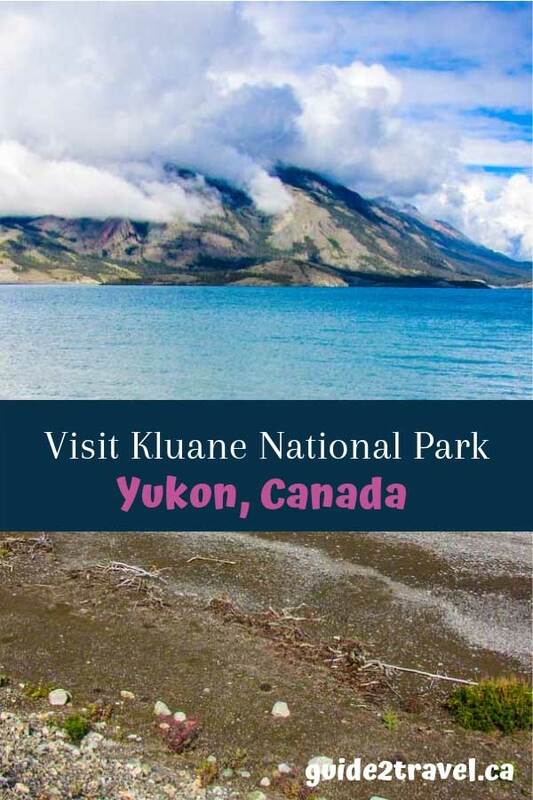 Kluane is part of the Kluane / Wrangell-St. Elias / Glacier Bay / Tatshenshini-Alsek UNESCO World Heritage Site, which falls in both Canada and the United States. The area is the largest non-polar icefield and is home to some of the longest and most spectacular glaciers in the world. Visitors can either fly over them, as I did, or get backcountry permits to hike. 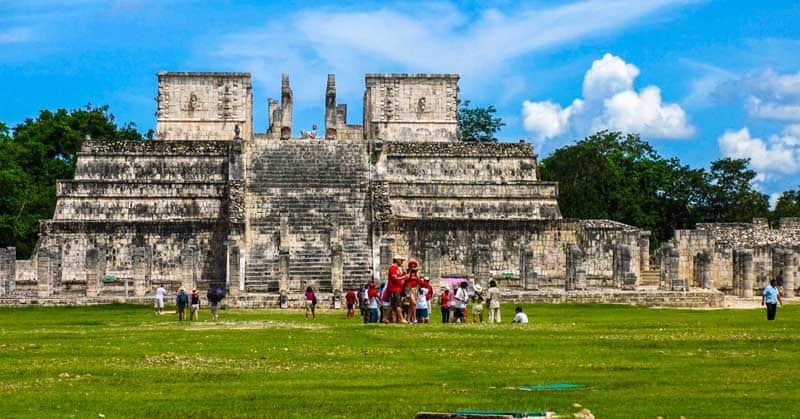 The area was designated a UNESCO site in 1979. 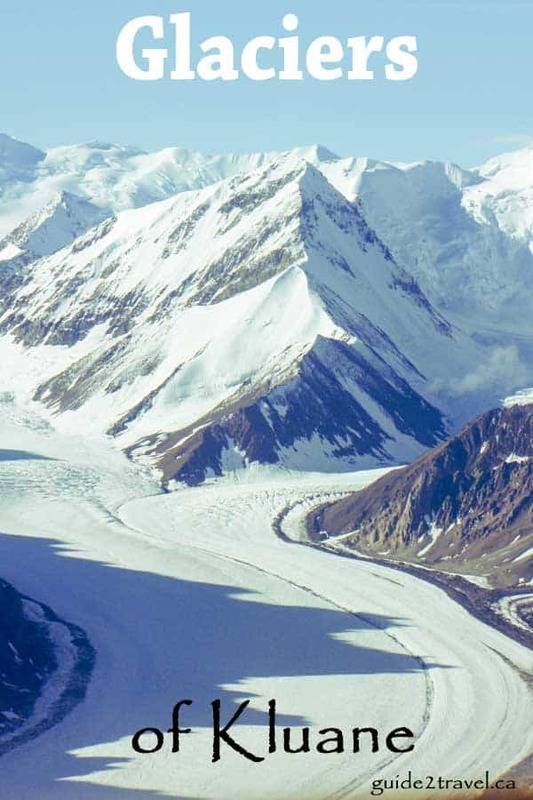 Kluane was established as a game reserve in 1942 and a national park and reserve in 1972. 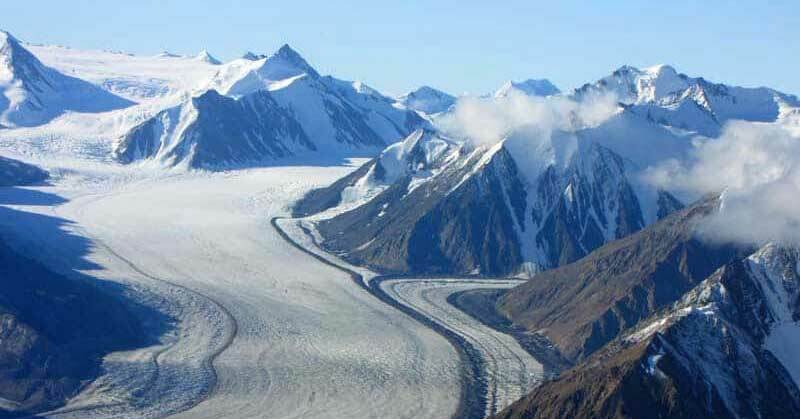 The central plateau contains over 200 glaciers. 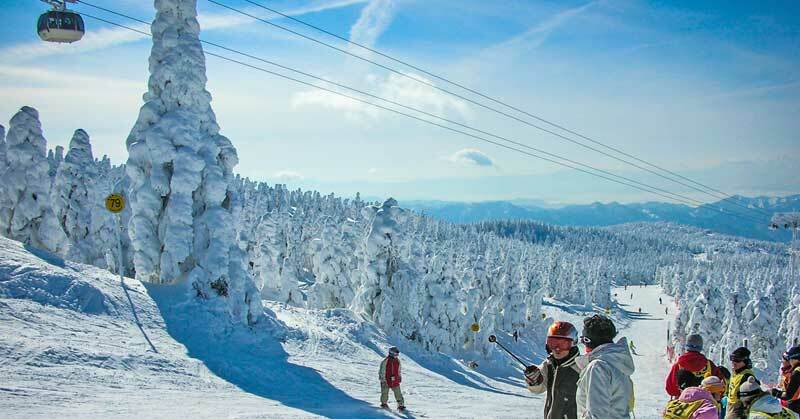 Mountain elevations range from 500 m below sea level to 5000 m above. 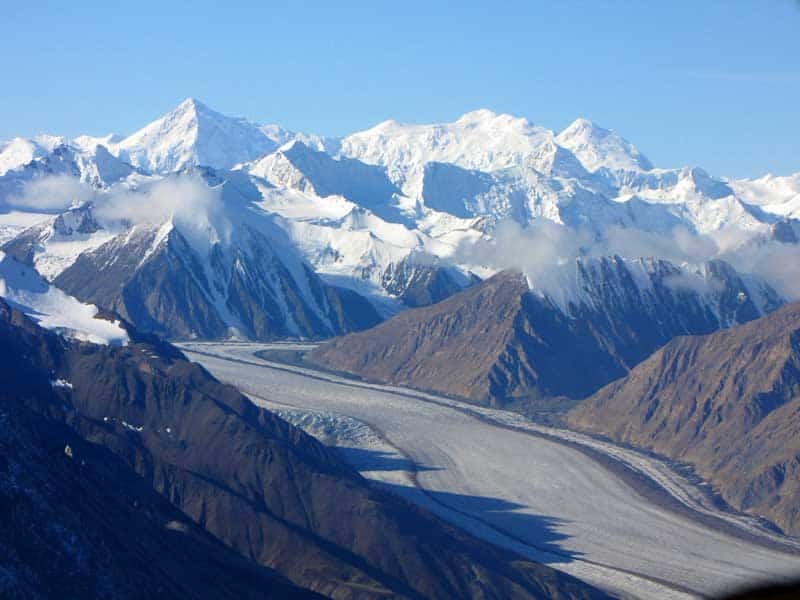 Some of the highest mountain peaks in North America are in this area, including Canada’s highest peak, Mount Logan. Populations of bears, wolves, caribou, Dall sheep and mountain goats that are endangered elsewhere are self regulating here. 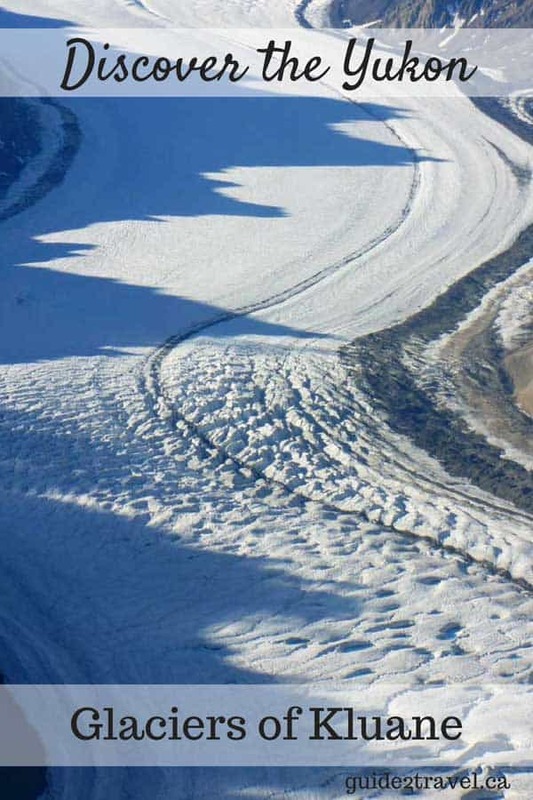 Glaciers of Kluane UNESCO World Heritage Site. While I had an amazing itinerary for my Yukon trip, I had anticipated the Kluane Glacier tour most of all. At first, it seemed doomed. The August weather was cool, damp and cloudy, with banks of clouds and mist. When we checked in with Sifton Air the afternoon the tour was scheduled, we weren’t able to go up because of the weather. The next morning still looked about 50-50, but the pilot, Marie, said she’d take us up to have a look. She warned us that we might have to turn around without seeing much, but the other passengers and I were anxious to give it at least a try. Luckily for me, the further over Kluane we flew, the bigger and bluer and brighter the sky became. Sunshine covered the mountain peaks. Snow sparkled everywhere. It was spectacular! The single engine of our super skywagon hummed evenly–its rhythm much smoother than my heart’s thumping as we flew between mountains, their peaks somewhere above the plane’s wings. 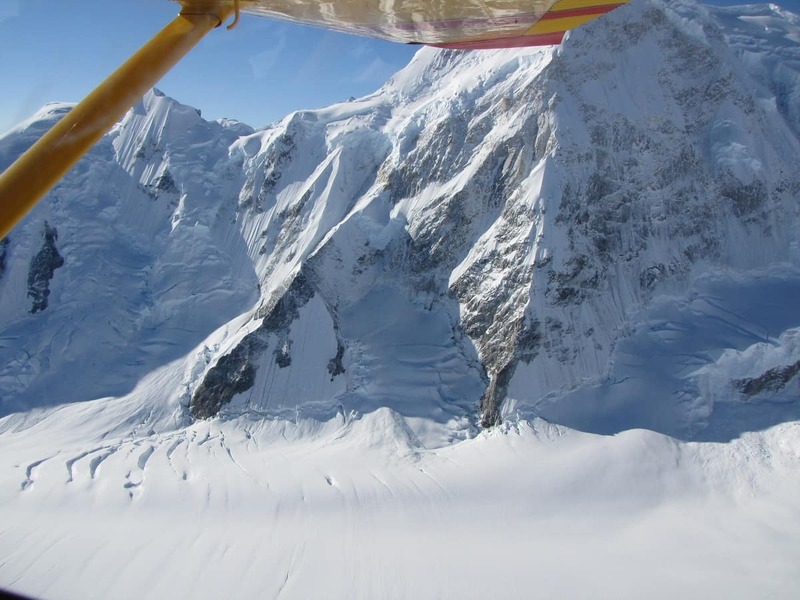 Flying through Kluane National Park–UNESCO World Heritage Site. A small wall of pristine white snow broke away from the steep side of the mountain, cascading down and spreading out like the train of a bride’s dress over the banks lower down. I think the most spectacular thing I found in the glaciers was the way the ice was grooved–it looked to me more like a thousand snowmobiles had been racing over the ice with carbides on their skis than something that could just happen naturally. The same grooves were really visible in the ice fields, only even more amplified with deeper gouges cut in the ice from the movement of ice against ice. I’ve put together a slideshare of photos taken during my flight (the Kluane Lake photo, however, was taken on the ground)–just click below to come along. 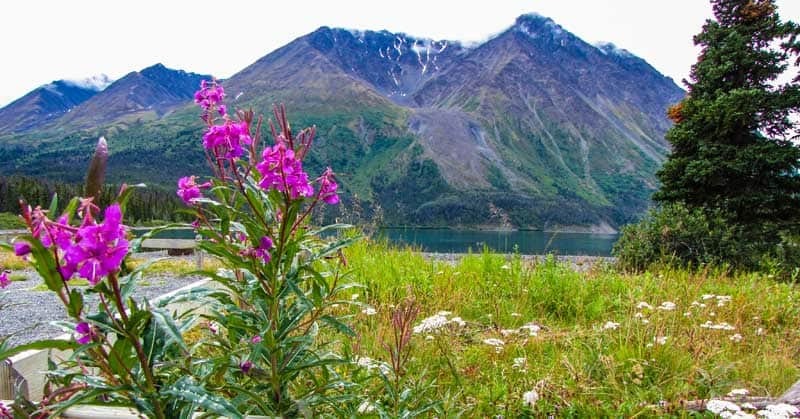 Kluane has 25+ hiking trails with terrain ranging from moraine to rugged mountains to glaciers to alpine plateau, at various levels of difficulty. Mount Archibald Trail has the highest elevation gain of 1950 m (6398 ft) and takes approximately 15 hours. It’s rated as very difficult due to the exposure, scrambling and distance. If you reach the peak, however, you’ll get an amazing view of the Kluane Icefields and Mount Logan. 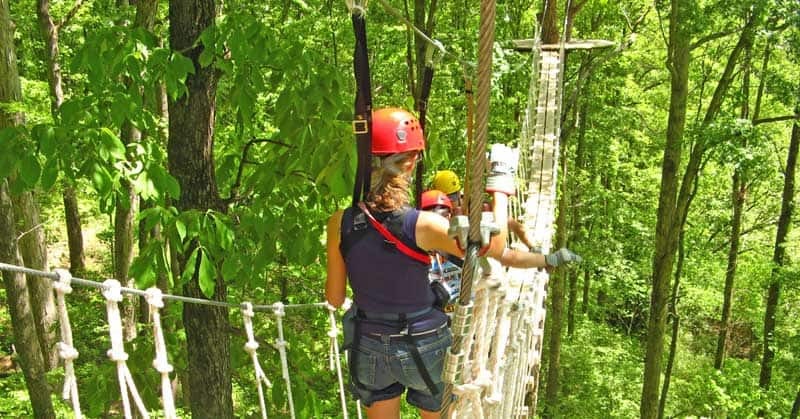 For those who want to get closer to nature’s majesty in a short time — and with fewer physical challenges — there are several options. Try: Thunderegg Creek (14 km, elevation gain 215 m or 705 ft) or St Elias Lake (8 km, elevation gains of 120 m or 394 ft). And, if you’d really like to get up close and personal with a spectacular formation, you can take the relatively easy 13 km hike to the Kluane Ice Cave! A visit to the Kluane National Park and Reserve provides many unexpected discoveries — one of the most unusual being the turquoise hue of Kluane Lake. While many head to the Caribbean for its turquoise, few even know that Kluane National Park has such beautiful water. Indeed, Kluane Lake appears turquoise due to fine glacial silt suspended in the water, so when the sunlight enters the water its angle of refraction, or the way it bends, is changed. This makes the light that emerges turn aquamarine. But you may be wondering about where the glacial silt comes from? Well, 82% of the surface of Kluane National Park is made up of mountains and ice, or glaciers. In fact, there are even dust storms from the glacial silt! Kluane Lake is Yukon’s largest lake (that’s totally in the territory) at around 408 square km or 158 square miles, and 81 km or 50 miles long. As you might expect, the water is very cold due to the ice fields around it. 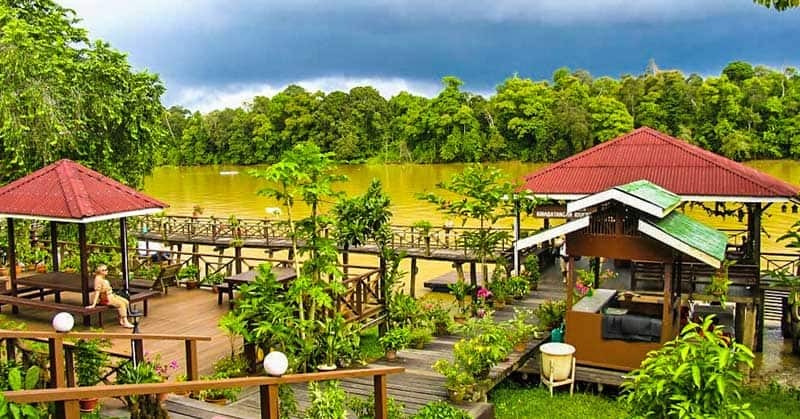 However, that makes it popular with fishing enthusiasts. 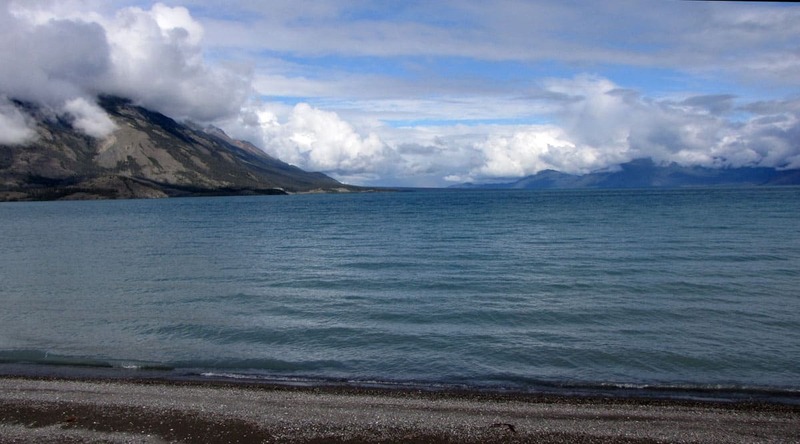 Kluane is one of Canada’s “trophy lakes” when it comes to fishing. If you dream of lake trout reaching massive sizes of up to 60 pounds (gee, I always thought I’d caught a big one with a two-pounder! ), or Northern Pikes up to 25 pounds, then you’ll want to plan a visit! Arctic Grayling are also popular. King’s Throne Peak viewed across Kathleen Lake in the Yukon. Hiking in the mountains provides some spectacular views, but it’s one of those things you have to work up to. The good thing is that the King’s Throne Peak also looks amazing viewed across Kathleen Lake. And it’s much easier to do! Kathleen Lake Day Use Area is just 27 km (17 m) south of Haines Junction, but the scenery doesn’t get any better. 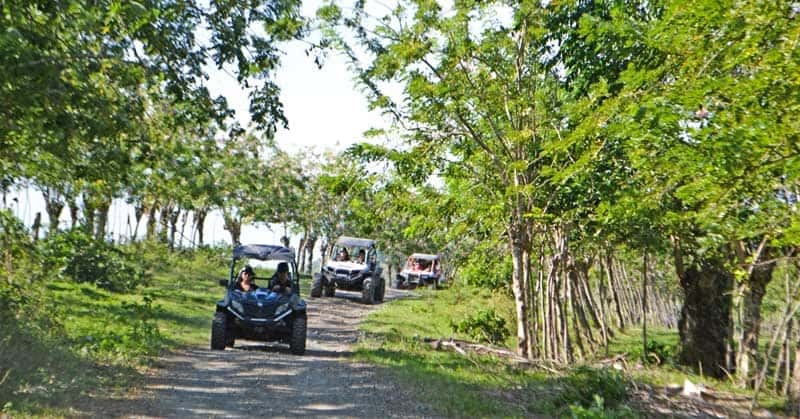 And it has all the facilities you’re looking for, from campgrounds to picnic areas to a boat launch, if you’d like to try the fishing. You can even check out sleeping in an oTENTik. What’s that? Well a building that’s a cross between a prospector’s tent and a cabin with a raised wooden floor. 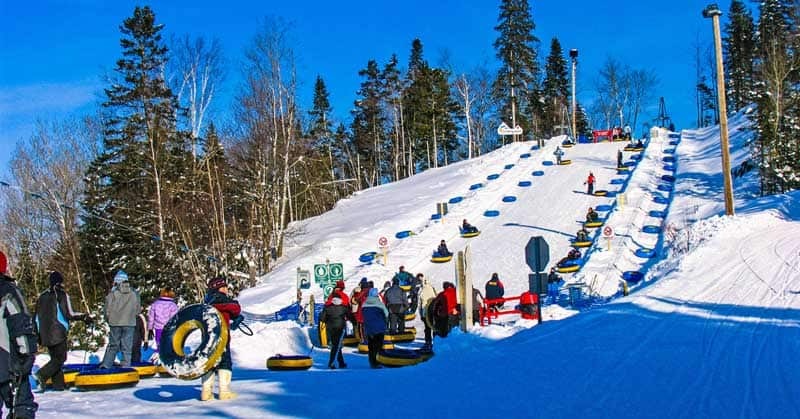 It’s an overnight option exclusive to Parks Canada, with five available at Kathleen Lake. However, hiking interested me most on my visit. While I didn’t have the time — or stamina — to try the whole 10 km (6 m) King’s Throne Trail to the alpine cirque created by glacial erosion, I wanted to enjoy that fresh mountain air. Even if you just take the .5 km boardwalk on the lakeshore, it’s amazing to feel the cool breeze off the water. After the boardwalk, I did make a start up the Cottonwood Trailhead. The trail, unmarked and unmaintained, feels somewhat like a goat trail and looks like a wild, abandoned flower garden! 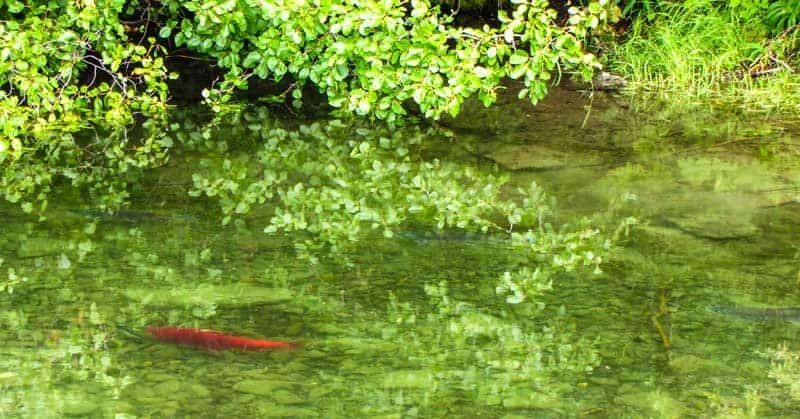 Rare Kokanee salmon live in the Kathleen Lake system. The Kathleen Lake system is landlocked, so only snow melt flows into it. And while you wouldn’t expect to find salmon in this ecosystem, you’d be wrong. Indeed, they’re home to a freshwater species of salmon, the Kokanee salmon that are genetically similar to sockeye salmon. Where did Kokanee salmon come from? 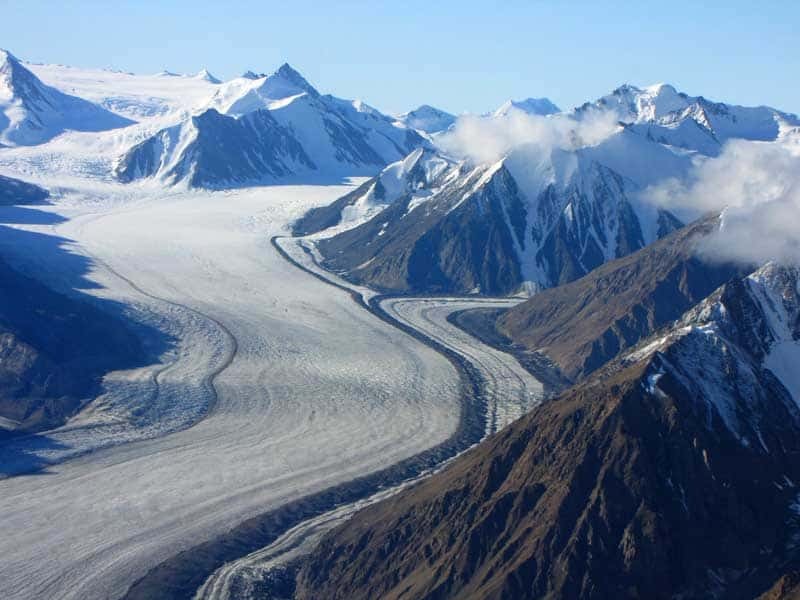 Well, scientists believe they migrated up the Alsek River, but were landlocked in the Kathleen Lake system by a surging Lowell Glacier, millennia ago. While they had virtually all but disappeared a few years ago, the numbers have rebounded. So, keep your eyes open for these salmon that live their whole life cycle in one place. But, don’t take one out of the water, or you’ll be subject to court appearances and hefty fines. Our Lady of the Way Church in Haines Junction. Haines Junction gets its name from its location at the junction of the Haines Highway and the Alaska Highway (Km marker 1632). While First Nations peoples had lived in the area for thousands of years, the town was started in 1942 and 1943 during the building of the Alaska Highway. It’s a small place, under a 1000 people, but still an interesting stop on your visit to Kluane. Your first point-of-interest will likely be the Da K? Cultural Centre, which also houses the Kluane National Park Visitor Centre. 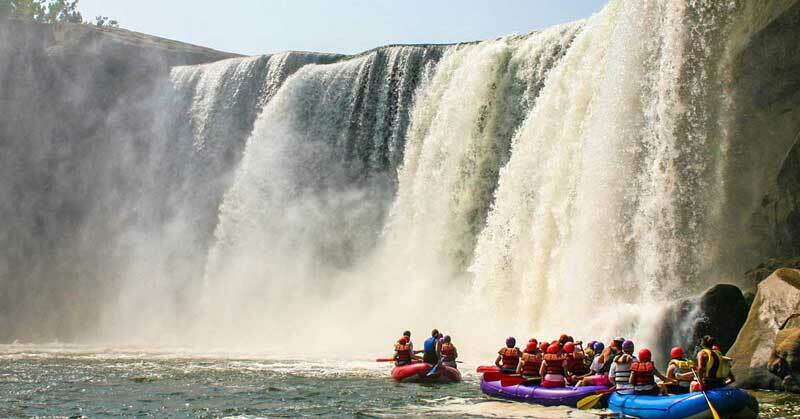 Here, you’ll learn more about local culture and how to sign up for adventures like flying over the glaciers or rafting the icy rivers. My favorite spot was the My Lady of the Way church. Converted from a quonset hut used by the US army building the Alaska Highway, it’s home to many historic pieces. My favorite? The steam locomotive bell donated by the engineer that drove the engine across Canada on its last trip after the original bell was stolen in the 1960s. And if you plan to spend the night, as I did, I can highly recommend the Raven Hotel. While the last thing you may expect may be five star accommodations, fine dining and wine selections, that’s exactly what you’ll find! The chef provided an amazing feast during my visit: Thai soup with shrimp and mussels, an elk entre, and a creme brulet with three flavors (vanilla, pistachio, and chocolate) for dessert. Dining just doesn’t get any better than amazing food with a breathtaking view of the Saint Elias Mountains. 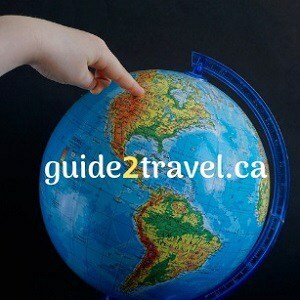 I was hosted in the Yukon by Tourism Yukon on a Media Tour when I explored these parts of the Yukon. However, I retain full editorial control of all articles I write as a result of the visit. The Top of the World Highway runs through Yukon’s unglaciated mountain ridges providing amazing views, especially on the Trek Over the Top snowmobile run. 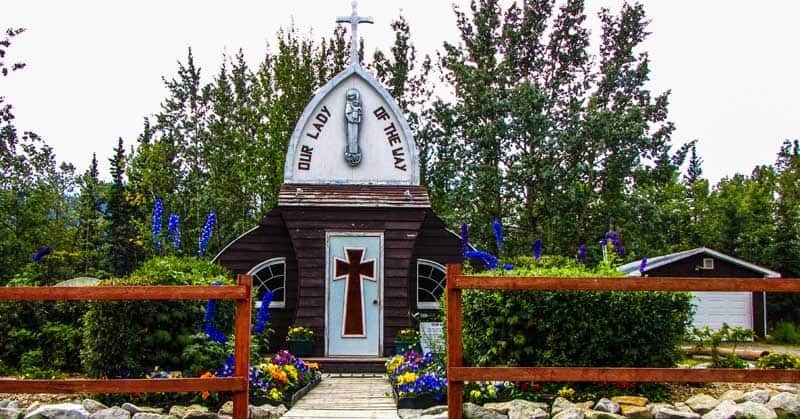 The Sign Post Forest is a quirky roadside attraction on the Alaska Highway in Watson Lake, Yukon – now 75+ years old with 75,000+ signs from everywhere! Take a dinner cruise up the Yukon River on the Klondike Spirit Paddlwheeler, just like adventurers have been doing in Dawson City, Yukon, for a century-and-a-half. Kluane National Park and Reserve may be Canada’s best kept secret in spectacular natural wonders. 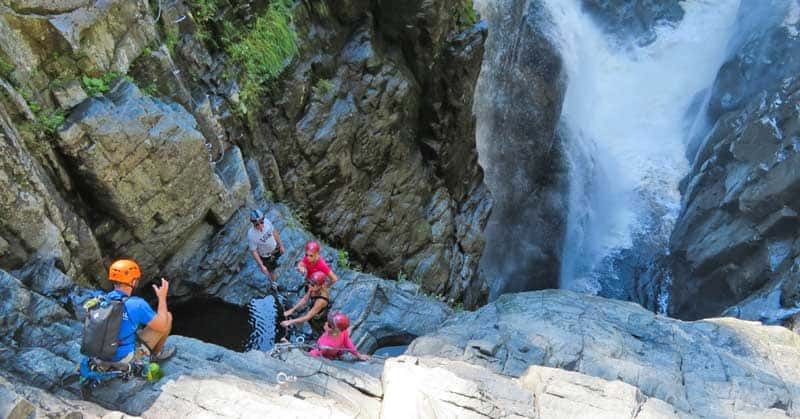 Find glaciers, hiking, historic sites and more. Is Carcross Desert the Smallest Desert in the World? Tiny Carcross Desert is outside Carcross, Yukon, and covers a mere 260 hectares, or 642 acres. Once the bottom of a large glacial lake, these rolling sand hills are home to vegetation such as lodgepole pines as well as plant species that arrived via Berengia thousands of years ago. What Gives Kluane Lake in the Yukon its Turquoise Color? 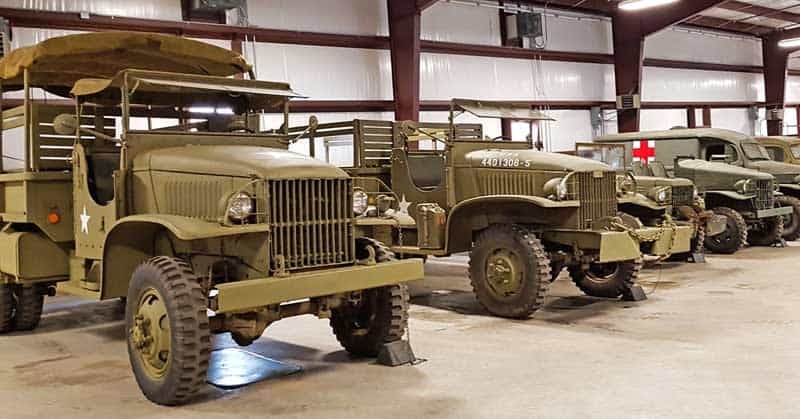 The Whitehorse, Yukon Transportation Museum, has an excellent collection of machinery of the past used in the far north with snow and muskeg, as well as various artifacts from the history of transportation, including everything from dogsleds and boats, to sea planes and trucks. 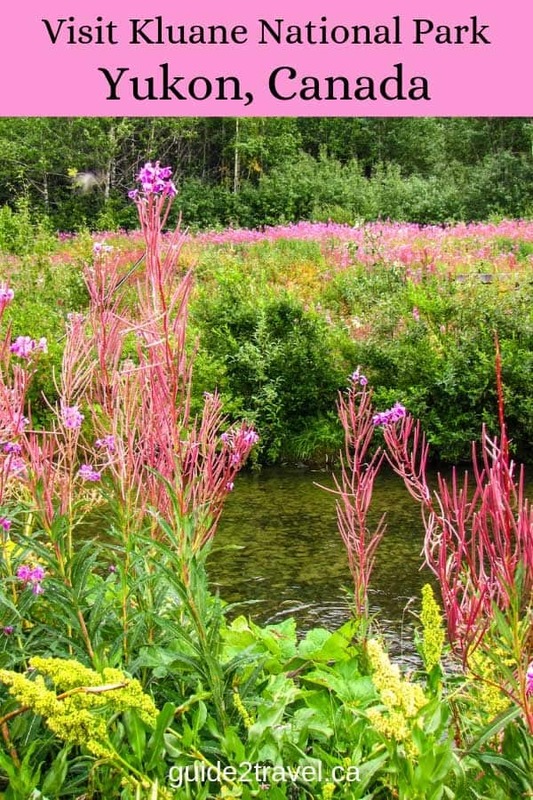 See The Yukon — Come Pan For Gold! Explore this Yukon ghost town with self-guided interpretive signs to learn about Robinson Flag Station established during the gold rush. The photo in the header of this article was taken by Linda Aksomitis while flying over Kluane National Park in the Yukon, Canada. If you enjoy this article, please pin and share it!